I have had a long and tiring day. So this will be short and sweet. 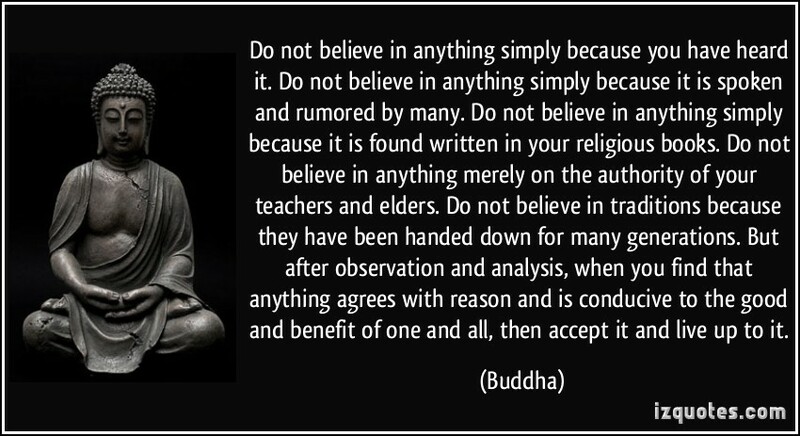 I remember hearing this precept fairly early on in my study of Buddhism. I really liked how it says to test things for yourself, not to believe “just because”. 2 Responses to Taking it easy today! Hi there – I keep coming back to see if you’ve updated. I’m very interested in hearing from you and listening to your journey. It’s intriguing to me. Hope you’ll post again soon.